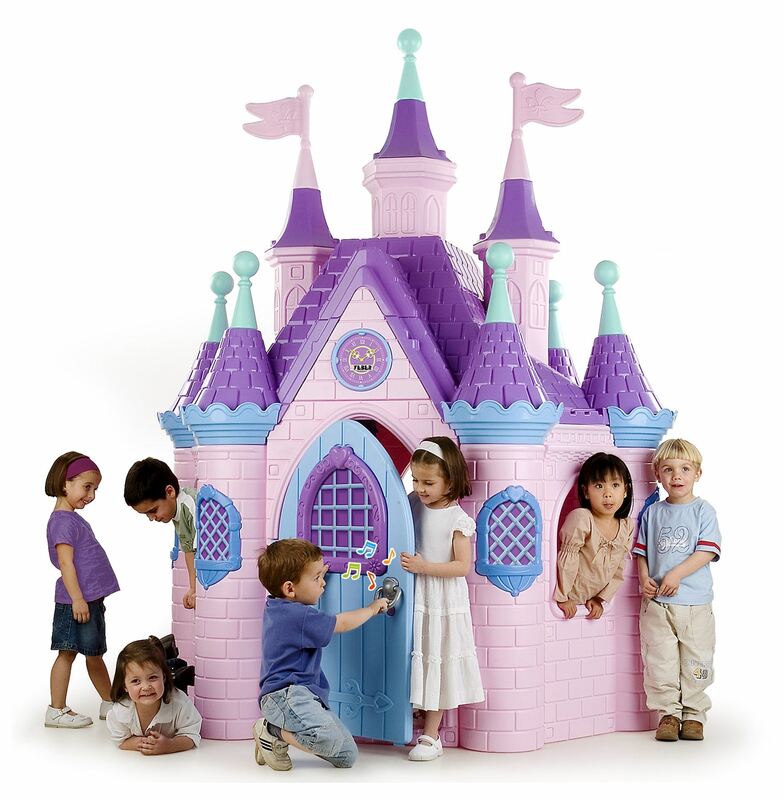 Enormous playhouse palace with no less than nine towers – ideal for little princesses! 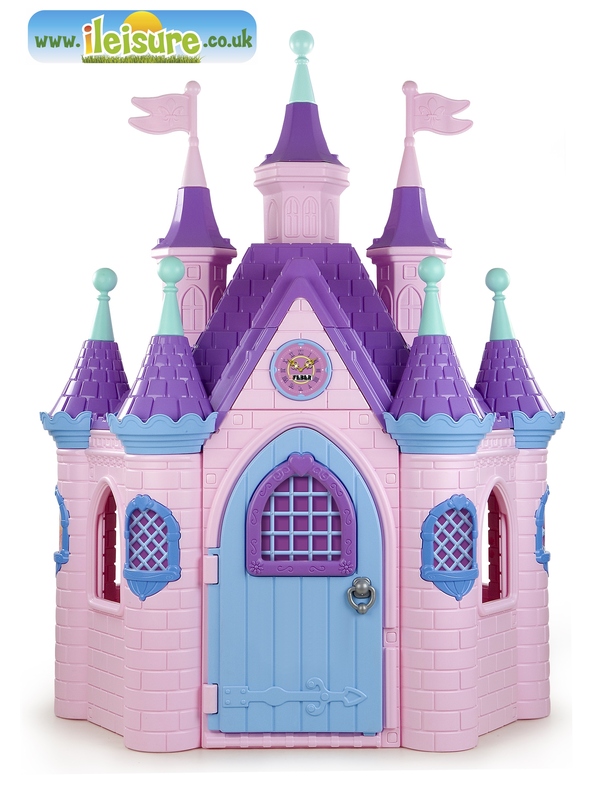 The door looks like a real castle door and has a door knocker with electronic knocking and bell sounds. There is a clock on the wall. There are windows in the walls and the little windows in the towers look just like the real thing. Easy to assemble. Modern, bright colours that are resistant to sunlight and temperature differences. Doorbell works on 3x AA batteries (not included). Age: 3+.